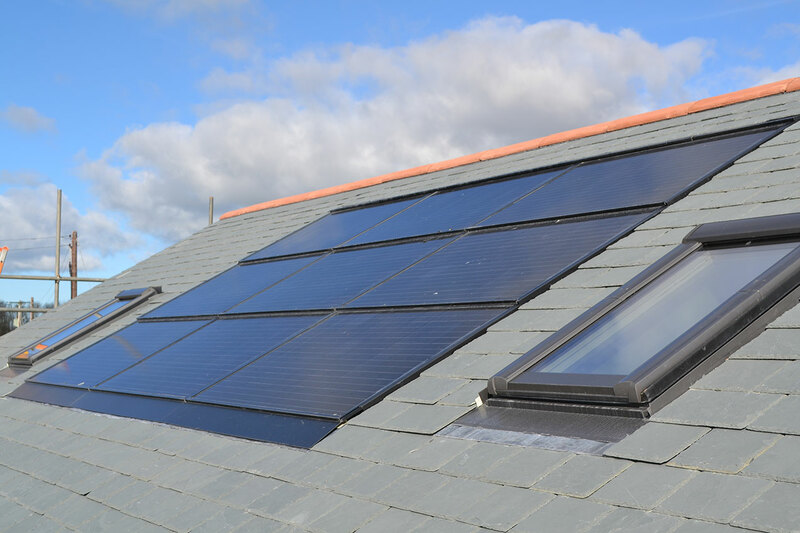 As well as the “traditional” over roof mounting systems, Solar and Wind are able to offer the Solfit BIPV (Building Integrated PV ) system. Following extensive due diligence and assessing the merits of each of the systems on the market, Solfit came out on top. Solfit is as beautiful to look at as it is functional. Its construction means not only simple installation (it’s created by experienced installers from the UK), but superior strength and water-tightness for the life of the system. It does not rely on rubber gaskets or plastics, and therefore we believe it to be the best available. It is of course MCS012 compliant. Whilst this option makes the most sense for new build or re-roofing projects, it is possible to retrofit. For more information or to see if Solfit works for your project please get in touch.